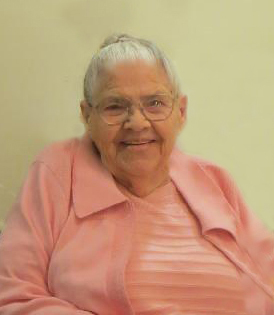 Lila Beryl Parsonage, beloved wife of late Roger Parsonage, passed away at Legacy Lodge in Lethbridge on April 6,2019 just after her 97th Birthday. Lila was born on March 17th, 1922 on the family farm at Glenboro, Manitoba to parents Frank and Edith Farough. She married Roger on June 4, 1947 in Brandon, Manitoba where they raised their three children. In 1980, after Roger’s retirement, they moved to Lethbridge, Alberta to be near their family. In 2013 they sold their home and moved into Blue Sky Lodge. That fall Roger passed away and Lila moved into Legacy Lodge, living there until her passing. She is survived by her children: Shirley Stafford of Lethbridge, Roy (Mildred) Parsonage of Vernon, B.C. and Darlene (Carter) Willness of Robson, B.C., 9 Grandchildren, 20 Great-grandchildren, her brother Lynn Farough of Souris, Manitoba, and numerous nieces and nephews. Lila was predeceased by her husband of 66 years, Roger, her son-in-law Dalton Stafford in 2018, her parents, 2 sisters and 4 brothers. Family and friends are invited to pay their respects between 7:30PM and 8:30PM, on Friday, April 12, 2019, at MARTIN BROTHERS WATERTON SUITE, 610-4 Street South, Lethbridge, Alberta. A Funeral Service will be held at 1:00PM, on Saturday, April 13, 2019 at MARTIN BROTHERS RIVERVIEW CHAPEL, 610-4 Street South, Lethbridge, Alberta. A Graveside will follow at Mountain View Cemetery.